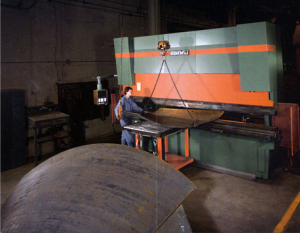 Brake Forming | Middle West Manufacturing Corp.
CNC Brake Forming capabilities up to 500 ton provide consistent repeatability of parts and minimum set-up time. Our extensive punch and die inventory can produce parts at varying bend radii. Most tooling is on hand or can be designed and made at a minimal cost. ©2019 Middle West Manufacturing Corp. All Rights Reserved.